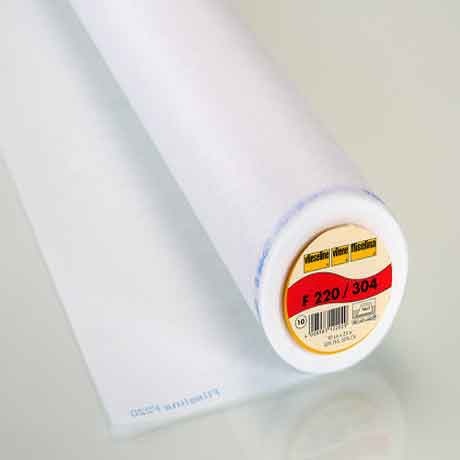 Medium-weight iron-on fusible interfacing which is perfect for adding body and reinforcement to medium weight fabrics, such as quilting weight cottons, cotton poplin, heavier silks, satins and on any fabrics in which you want to maintain drape and movement. Iron on dry, press down firmly and slowly, hold for 8 – 10 seconds and repeat until completely fused to the fabric. For lighter weight fabric try our Lightweight Interfacing.